THE MIDDLE OF AUGUST is perhaps not the best time to go sound hunting in Paris. It’s a curious time, the weather is hot, the locals are for the most part away on holiday and many bars, restaurants and shops are closed. I was in the 6th arrondissement on Saturday where I found this usually bustling area particularly quiet. Beyond a near empty Place Saint-Sulpice the Eglise Saint-Sulpice glistened in the summer sunshine. It’s dedicated to Sulpitius the Pious, it’s the second largest church in Paris and it’s always worth a visit so I went in. The present church, which took one hundred and forty years to build, was completed in 1732 and it stands on the site of a much earlier, thirteenth-century Romanesque church. The present church is noted for several things; the Marquis de Sade and Charles Baudelaire were both baptised here, the church is home to a gnomon, a scientific instrument used to determine the time of the equinoxes and hence of Easter (it featured in Dan Brown’s novel The Da Vinci Code), a side chapel in the church houses two murals by Eugène Delacroix, Jacob Wrestling with the Angel and Heliodorus Driven from the Temple and … Saint-Sulpice houses a magnificent Cavaillé-Coll organ, perhaps the finest instrument of the French symphonic-organ era. 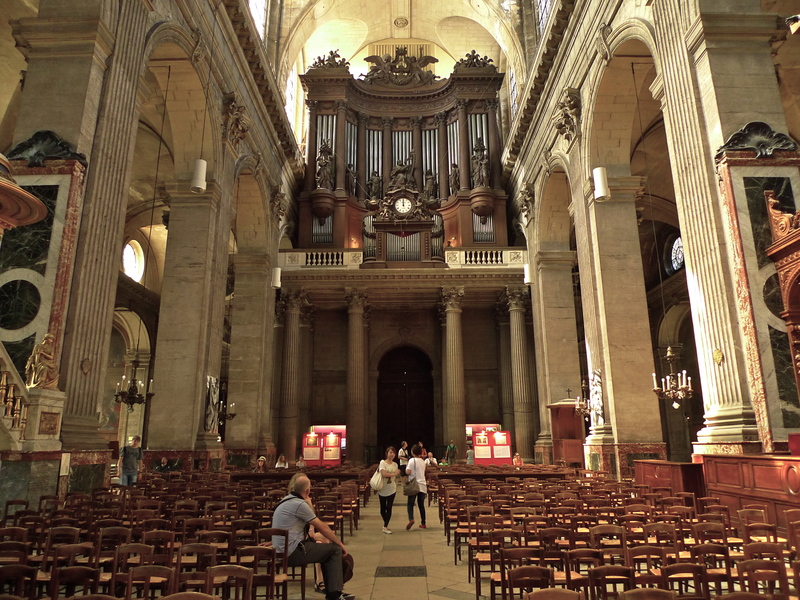 My sound hunting adventures in Paris have taken me to many places and I’ve discovered many different sounds, but few sounds affect me as much as the sounds of the organ and particularly the organs of Aristide Cavaillé-Coll. On Saturday, I was able to capture the sounds of his finest creation. 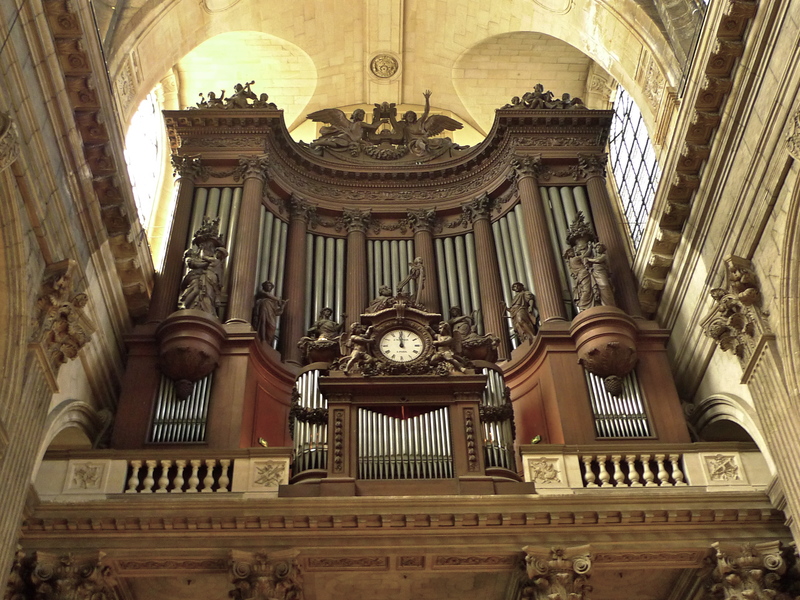 Just as he did with the organ of the Cathédrale Notre Dame de Paris, Cavaillé-Coll reconstructed and improved upon the existing Saint-Sulpice organ built by François-Henri Clicquot. The instrument is reckoned to be the summit of Cavaillé-Coll’s craftsmanship and genius. The sound and musical effects achieved in this instrument are almost unparalleled. 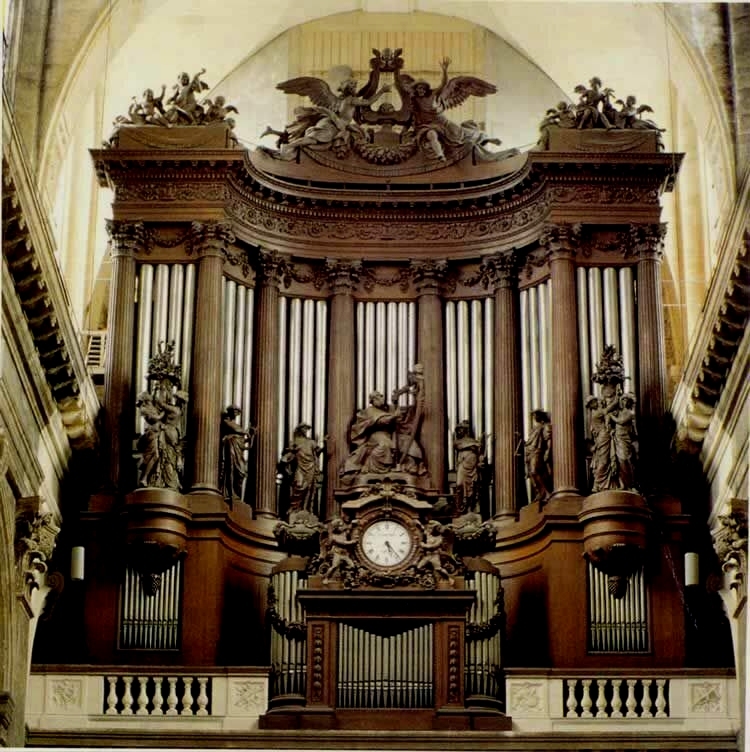 Some world-renowned organists have played the Cavaillé-Coll organ in Saint-Sulpice; Louis James Alfred Lefébure-Wély was the organist from1863 to 1869 and then for the next one hundred years just two people occupied the post, two of the most illustrious names in the world of church organ music, Charles-Marie Widor from 1870 to 1933 and Marcel Dupré from 1934 to 1971. 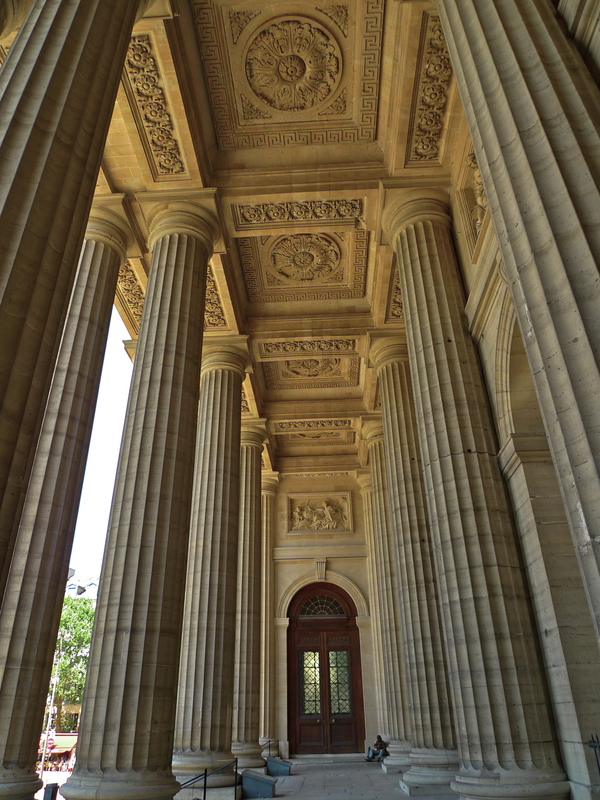 It is largely thanks to this continuity that the organ of Saint-Sulpice has avoided the changes in taste and fashion which have ravaged so many of Cavaillé-Coll’s other creations. Appointed in 1985, Daniel Roth is the current organist assisted by Sophie-Véronique Cauchefer-Choplin. I have no idea who was playing the organ on Saturday and somehow it didn’t really seem to matter. They were practising and clearly having fun whilst I was perfectly happy to sit and simply let the rich palette of Cavaillé-Coll’s sounds wash over me. 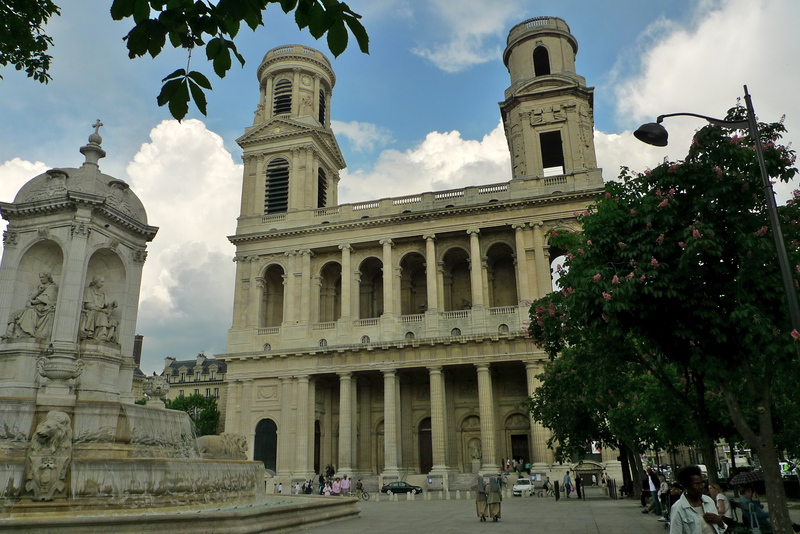 You can hear more of the organ of Saint-Sulpice here. A WEDDING TOOK PLACE in London last Friday. In Westminster Abbey, nineteen hundred invited guests and an estimated television audience of two billion watched as the bride entered the Abbey as a commoner and left as a Princess. A wedding took place in Paris last Saturday. 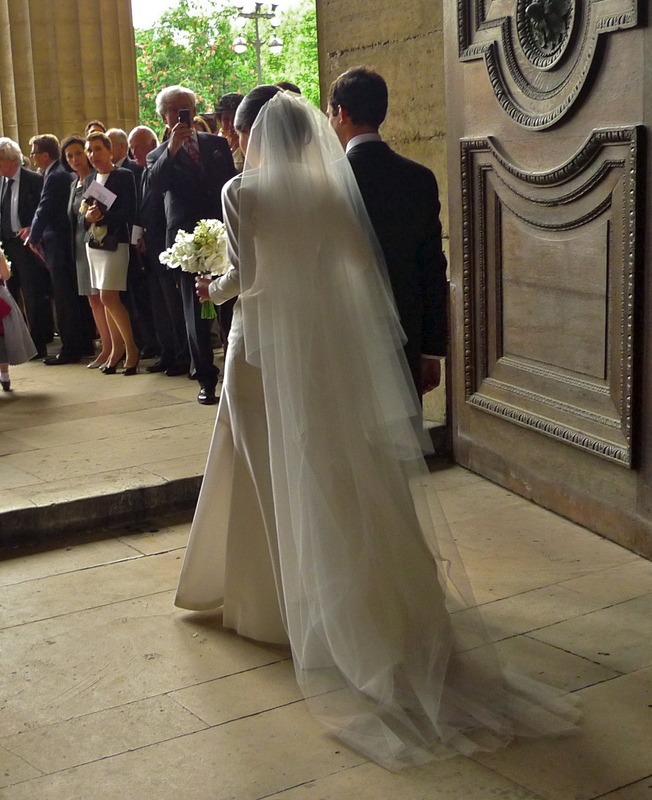 In the Eglise Saint-Sulpice around one hundred invited guests and no television audience watched as the bride entered the Church as a commoner and left feeling like a Princess. In Westminster Abbey, the bride entered to a fanfare sounded by the trumpeters of the Central Band of the Royal Air Force. In the Eglise Saint-Sulpice, the bride entered to the majestic sound of the original, completely un-restored, Cavaille-Col organ. Last Friday, Westminster Abbey was in total lock-down. No one except the invited guests was allowed in and every move inside the Abbey was scripted in advance. 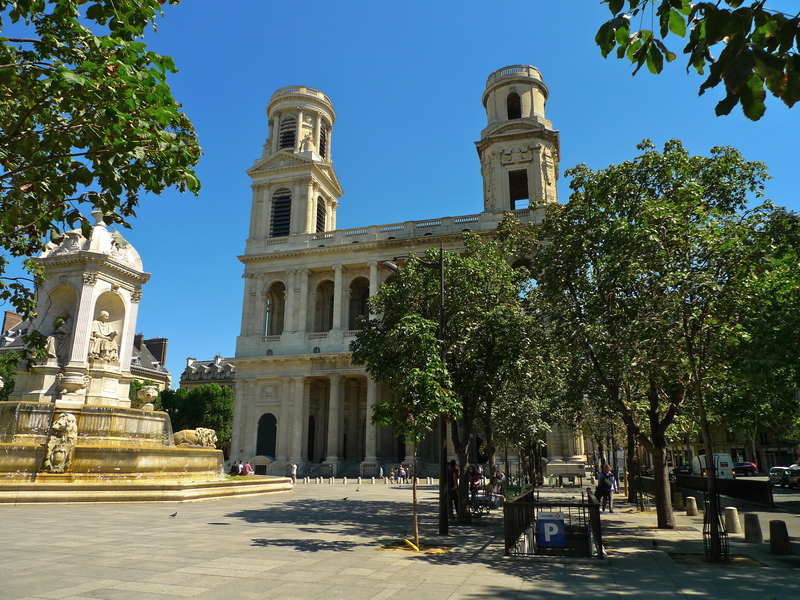 Last Saturday, the Eglise Saint-Sulpice was hosting a wedding but it was still a working church, anyone and everyone was allowed in… and in they came – tourists and locals all stumbled upon this wedding. In Westminster Abbey the bride and groom left to the sound of the London Chamber Orchestra and William Walton’s ‘Crown Imperial’. In the Eglise Saint-Sulpice the bride and groom left to another majestic sound from the wonderful Cavaille-Col organ together with unscripted and completely spontaneous applause from the uninvited guests. These two newly married couples face very different futures. I wish them both well and much happiness in their new lives together.